When I wear my equine behaviorist hat I am usually attending a call to help horse owners who have horses with dangerous issues. Dangerous to the humans usually but sometimes dangerous to other horses. I can easily say that the majority of cases can all be traced back to hand feeding, reward training, and/or hand to muzzle playfulness or petting. The reason is straight up simple. When horses meet, even if from across a large field, they begin to assess each other’s position in the relationship. This can look like posturing, the neck arches, head tucks in toward chest, movement becomes more upward than forward…puffing up to their fullest potential. As the horses close the gap between them the language begins to shift and in some cases the horses will swing to meet hind end to hind end with a full on kicking match. This is especially typical of mares meeting. Stallions and gelding tend to meet head on muzzle to muzzle, eye to eye remaining in the full blown posturing position. In the first instants of muzzle to muzzle contact the horses are deciding if the other is a threat to them or perhaps a potential playmate. If they meet muzzle to muzzle eye to eye a small nip or series of nips will be given and if one horse steps back and away he has relinquished leadership to the other horse. If neither steps back and away the ‘nips’ escalate upward in intensity to stronger bites, to striking, to biting hard on the shoulders, to biting behind the front legs in order to bring the other horse down and make him step away. From there the escalation moves to biting below the eye of the other horse and finally rearing and biting down on the top of the other horse’s head or clamping down hard and holding on to the withers of the other horse. Eventually one or the other will give in and step back and away and the herd order is set…for the time being. Often the initial muzzle to muzzle contact will simply be invitation to play. No battle for herd order is necessary. Running, biting, striking, rearing, kicking, swinging and bashing heads. When we reach out to the horse’s muzzle with our hand we are replicating the muzzle to muzzle contact that horses use to communicate dozens of messages. For the majority of ‘well trained’, ‘desensitized’ ‘bomb proof’ horses this contact has become meaningless. In my world these horses fall mid-range as being neither extremely intelligent or as having an extreme survival need. In other words horses that would be on the top of or the bottom of the pecking order. 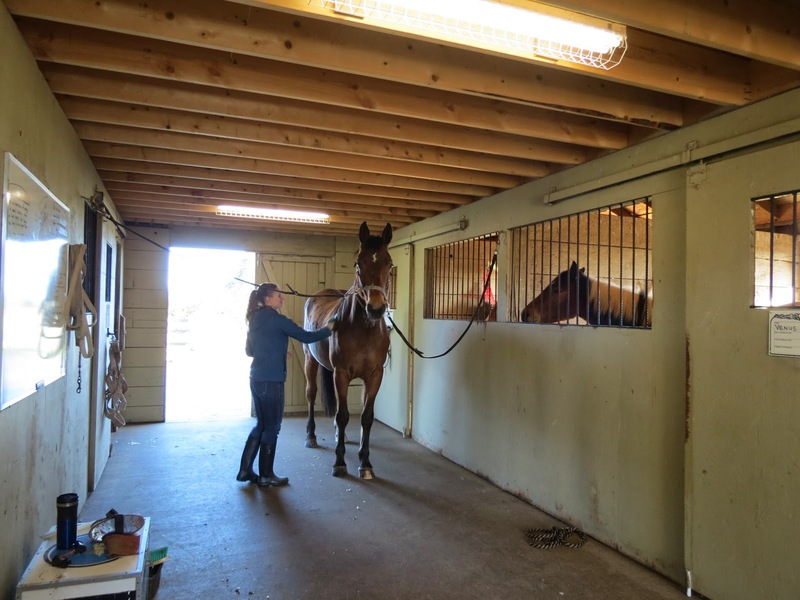 These two ends of the spectrum will make up the horses that are the most difficult to train. Neither bend easily to the will of man. Successful trainers who have the pick of horses to train will often use scaling techniques to choose compliant horses. Given the choice of several horses that are all ‘equal’ in his eyes as for their intended use the trainer will determine trainability. Sometimes this is determined quickly by applying light pressure to the bridge of the nose of the horse to see if he ‘gives’ or pushes back. If he ‘gives’ he is compliant. If he ‘pushes back’ he is not as compliant on the scale. If he pushes back and pressure is applied again and he gives he is rated accordingly and so on. When we hand feed or play with the muzzle and we ‘ask for play’ and the horse obliges by nipping, or biting, or striking, or chasing us out of his stall or paddock we become upset with his behavior and usually punish the horse by hitting back…which unfortunately is still play to most horses which causes his play to magnify in intensity. This is when some horses become dangerous. A good number of horses I have worked with due to these issues have been slated for destruction and by that I mean either shipped off to the ‘killers’ or euthanized. I am not usually the first person people call in.. I am usually the last effort to help the horse. It is hard for someone like me to watch the slippery slope well intentioned people are sending their horses down and not say anything so I hope this platform will reach some ‘well intentioned’ eyes and ears. Recently I watched a man who was visiting the facility where I keep my horses as he interacted with another boarder’s horse. He began by stroking the horse nicely along the side of the head and worked his way down to the muzzle and ‘massaged’ the muzzle. He opened his hand and allowed the horse to rake his palm with his teeth with enough pressure that it required effort on the man’s part to hold steady. When he took his hand away the horse bit his jacket sleeve. The man swiped the horse’s head away from him. Not a hit, just a swipe with his arm to ‘brush him away’. The horse responded by immediately swinging his head back in and grabbed the man’s jacket in his teeth. To the horse biting clothing is no different than biting flesh or bone. If you allow one, you condone the other. This is the beginning of the slippery slope. The swipe of the arm becomes the smack on the face eventually turning into harder hits to try to keep the horse from coming close enough to bite or in an attempt to teach it not to bite. For this adult grown man this was simply playing, interacting with the horse. To a smaller person, a woman, a child or an elder this is anything but play. I’ve watched this horse lunge at small children as they pass by his paddock if they have fed a carrot to the horse nearby. Near misses and sadly it is 100% not the horse’s fault. It is important to me and our clients that our therapy horses have quiet mouths. It is important that the horses not be searching for apples and carrots while being in close contact with the frail elders, small children or those who are simply afraid of the physical size of the horse. I am often laughed at for my stance on this issue, called peculiar by some. But my horses tell me every time. No exception. I’ve been asked to write about how I begin to work with a horse who has been handled in what would be viewed as a relatively normal way. So in other words a horse that has been trained through various types of pressure and corrections. The types of pressure can be quite simply whips, carrot sticks, lead chains, flags and other means by which people have engaged with the horse in order to have it do what they want it to do. My way is to use ‘energy thought forms arising’ without body language, verbal commands or props such as those mentioned above. The energy thought form comes before a picture in your mind forms! This is important to know because you cannot correct a horse for anticipating a cue that you are beginning to think about giving!! He already has the cue! 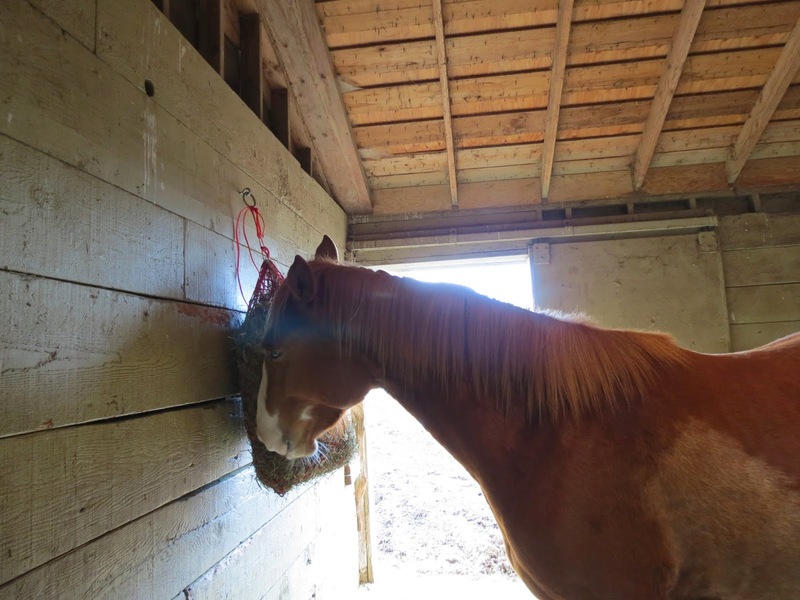 In order to begin to work with a horse that is used to seeing what people do rather than connecting in the way horses do with one another I will use whatever method the horse is used to at that time. So in other words I start where he is at BUT and this is a big but I always offer the thought form arising first. If the horse is used to 100 pounds pressure, I’ll offer the thought form first and move up the scale of pressure until. ‘Until’ is the moment the horse begins to search for the source of the conversation and seeks to connect with my mind. I’ll strip off the pounds of pressure until we are free to send thought forms to one another. Many people talk about ‘join up’ but have never truly experienced it. When I am called out to help with a troubled horse I carry all of the usual paraphernalia many trainers carry but my intention is to not use them….at least not for long. My energy and my ability to expand and contract it is my flag, my whip, my carrot stick. Standing in the center of a field and ‘calling the horses to be with you’ without sound or movement and they come is join up. Standing in the middle of a show grounds with a frightened loose horse heading to the highway and the horse is unknown to you but when you send it an offer of a soft place to land and it does a 180 degree turn at full gallop toward you and stops just in time to bury its head in your chest…that is join up. No sticks. No whips. No words. No pressure. Try it. Wit was last to be groomed this morning. I brushed his body and went to do his face. As is usual for him his head went up in the air as far as it could. I slipped my handy little rope on him and asked him to please bring it down, reminding him I am short and cannot reach when he imitates a giraffe. I’ve been taking my time with him. There are very quick ways to bring a horse’s head down and as a trainer I’ve likely used most of them. Some nice, some not so nice. Today I asked with a little pressure and he brought it down, but what he told me when he did so brought tears to my eyes and his. He said…”they made me”. His eyes stared off into the distance and he kept repeating over and over…”they made me”. We processed that for quite some time. Waves of emotion bubbled up and tears streamed from his eyes. I told him it’s not like that here. He told me he knows that and he is finally starting to really believe it. He kept his head down while I stroked his ears…and then he said something I will never forget. “Some people are learning how to become ‘zen’ with horses. You are teaching people how to BE ZEN FOR THE HORSES”. So, sometimes it hurts to hear what the horses have to say but sometimes it feels so good I could burst! 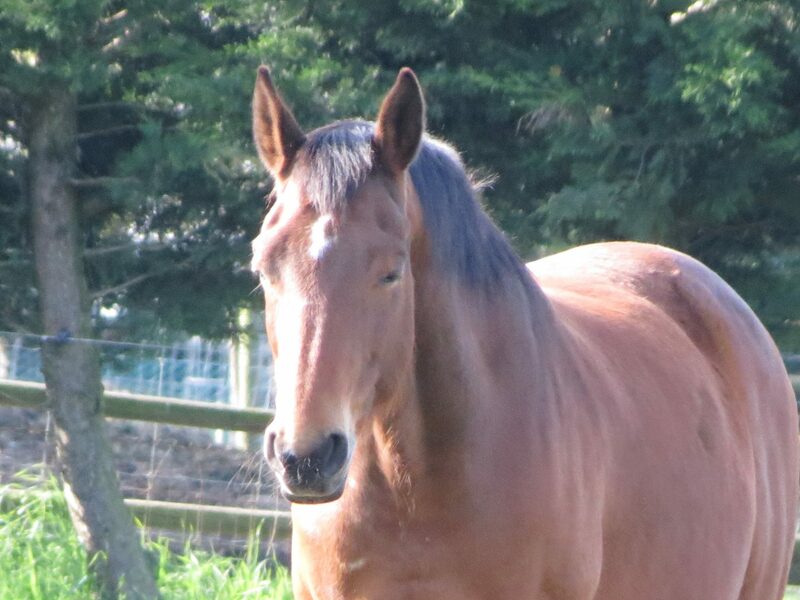 More times than I care to remember, horses have told me ‘They made me’…. It is a very common thing for race horses and games horses to tell me. They’ll show me pictures of whippings, their eyes rolling in fear and pain. In Wit’s case it was constant repetitive attempts to frame with force that kept coming into his mind. People who had no ‘feel’ for his mouth or sides. He has had over a year off from work and still these memories are with him. There are many ‘for sale’ videos floating around the internet of Wit taken over the years. Some are of him jumping courses and others of flat work. Few show a happy horse. In most he is fighting to be heard. Fighting to be listened to…..trying to tell people he doesn’t need to be pushed and pulled…trying to tell them less would be more. No one could hear him. We hear him loud and clear and look forward to the day he lets down his guard completely and can let go of relating being groomed to the work that would historically follow. 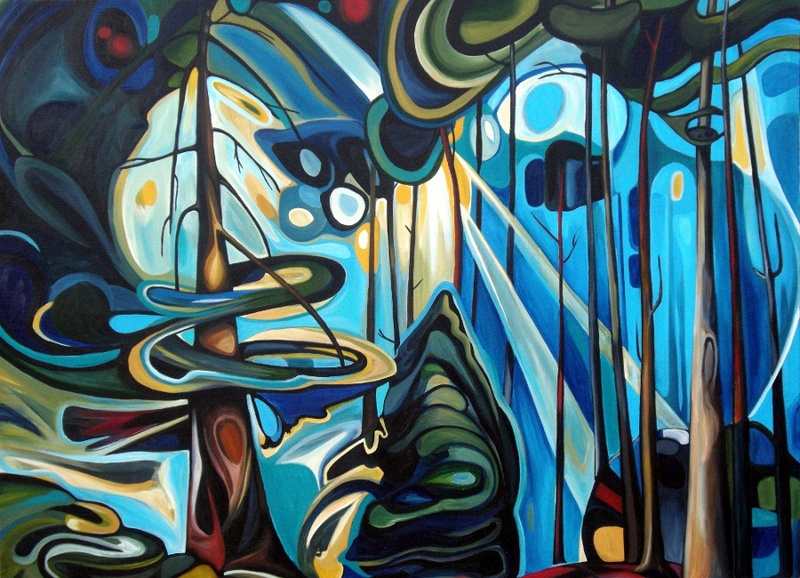 What do Emily Carr, Vincent Van Gogh and horses have in common? The way they see their world. 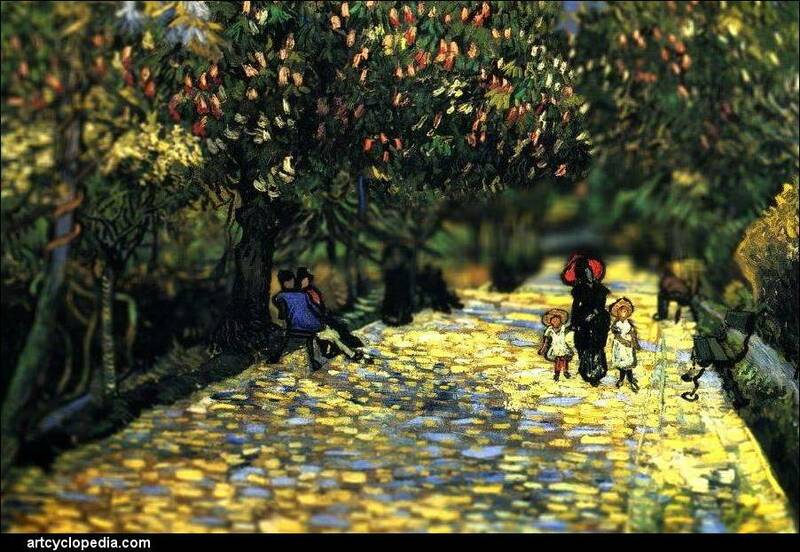 In the works of such artists as Van Gogh and Carr the energy of the landscape is depicted as nearly formless. The light behind the formlessness shines through creating more life. The horse sees his world and everything in it as moving energy. Objects that we have given form and density in our vision, is formless and alive in theirs. 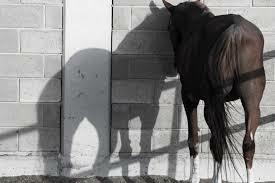 Even the thickest wall of steel has life and movement to the horse. They see and sense the vibration. They witness the molecules moving. Everything in their world has potential. The potential to be a predator until proven otherwise. A rock on the side of the road is just a rock, but not to the horse. To the horse the rock has life and potential. Until the horse has an opportunity to investigate the potential he must assume it is a predator and stay clear of it. His survival depends on it. Horses see everything in big picture landscape form. If something is added or removed the entire landscape has changed. The place is no longer the same place. He is focused on the details but not in the way we assume he is. He is actually focused on the bigger picture. Lighter colored objects or details leap forward, are larger, closer. Darker objects recess. A dark spot on the pavement becomes the black hole of Calcutta , a place to be avoided at all costs to ensure survival. A white spot, including splashes of sunlight must be jumped over or avoided. They say horses have limited color vision. I disagree. They show me beautiful colors similar to those most of us see however their’s has an opalescent glow which makes them seem different. Colors are meaningful to the horse and they see us as colors and formless shapes that change constantly as our emotions and thoughts change. This is why they sometimes do not seem to recognize us. I have also just described how many autistic children see their world. If they seem to turn away from you some days and look to you on others ask yourself if you are indeed the same color and shape as you were the day before. 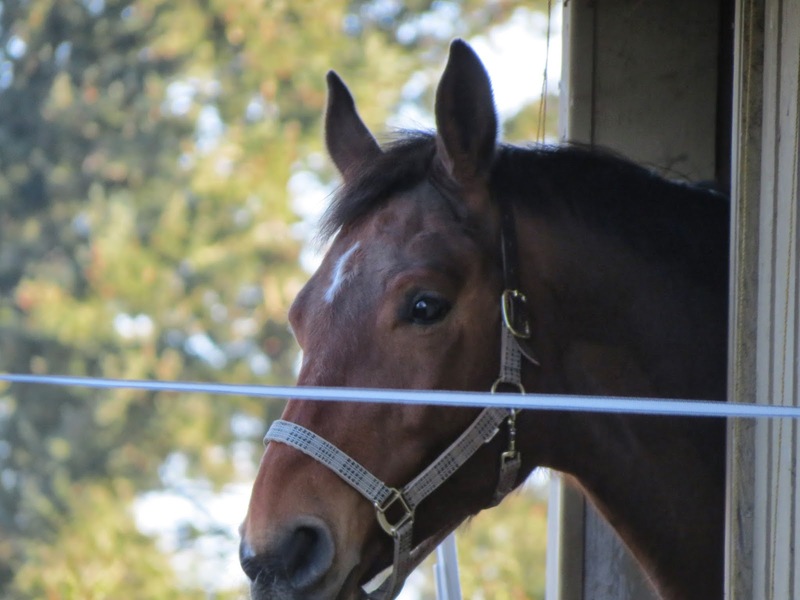 March 5 2014 our newest addition to the herd was a 12 year old Hanoverian gelding by the name of Whittingdon. His life to date had been that of a high level competition horse in the jumper rings and had not included much if any natural time with other horses. I decided to document his introduction into the herd with as little interference from me as possible in order to show ‘their ways’ which I had learned to replicate. This article shows a little bit about some of his anxieties that we have been successful in helping him overcome through a few simple changes and alterations. It became apparent from early on that Wit needs to be with the herd. It is more than simple desire. I discovered this need the first time I put him in his stall where he has a walkout to a paddock. I’d brought him in before bringing in the mares. I led him in through the stall door and he immediately bolted out through the walkout door and promptly and effortlessly jumped the paddock fence and returned to ‘his place’ near the mares. He didn’t attempt to jump in with them. He could have easily done so, the ring fence being a full foot lower than the walkout paddock fences. He wasn’t upset or worried. He had a simple desire to be near the herd. In order to address this I decided to build a higher and stronger fence and so secured the services of my neighbor to come plant posts the following day. The horses went out early, Wit to the round pen and the mares to their paddock nearby where he could see them at all times. 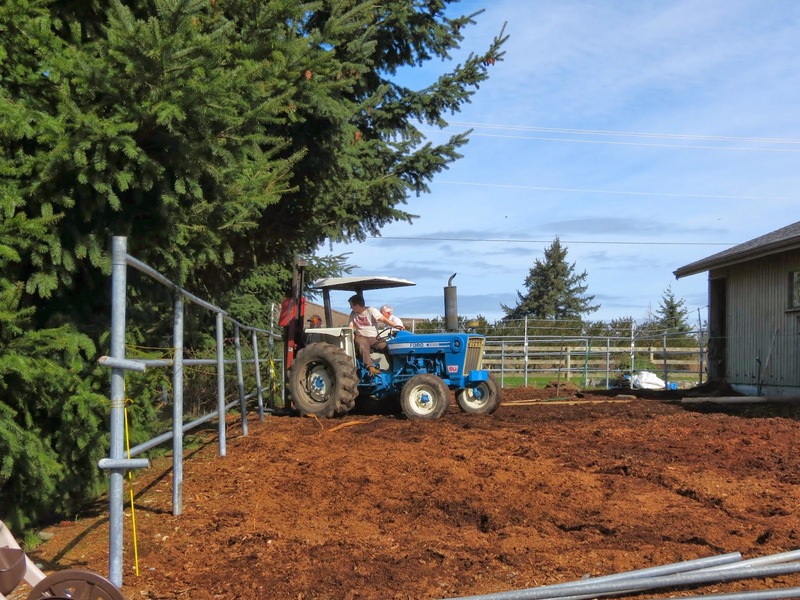 Fence posts in…Les and I nailed on the fence boards and I felt confident that the new enclosure which is one paddock further from the mares’ turnout and the ring would hold him. 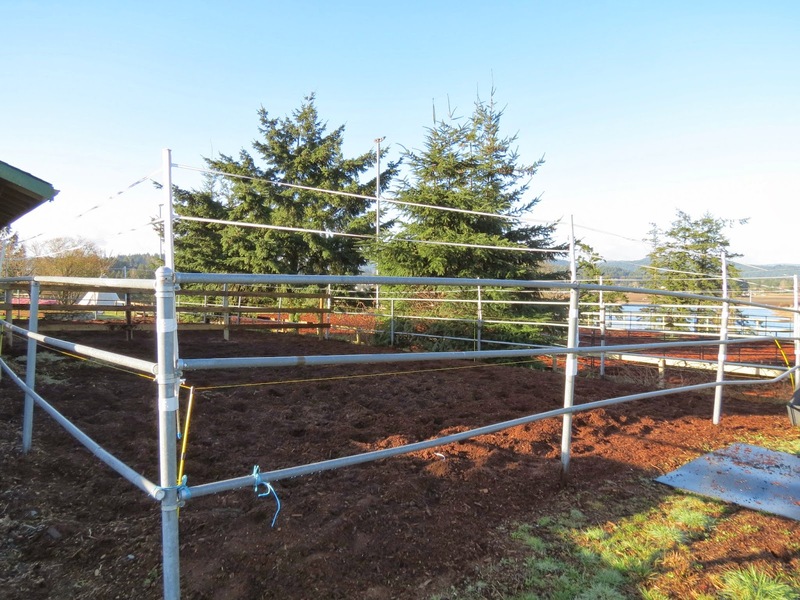 I’d placed extensions on three sides of the pipe rail paddock and added electric tape well over 6 feet in total height. I had done some research on the internet and found this to be one of the most effective ways to deter athletes such as Wit. 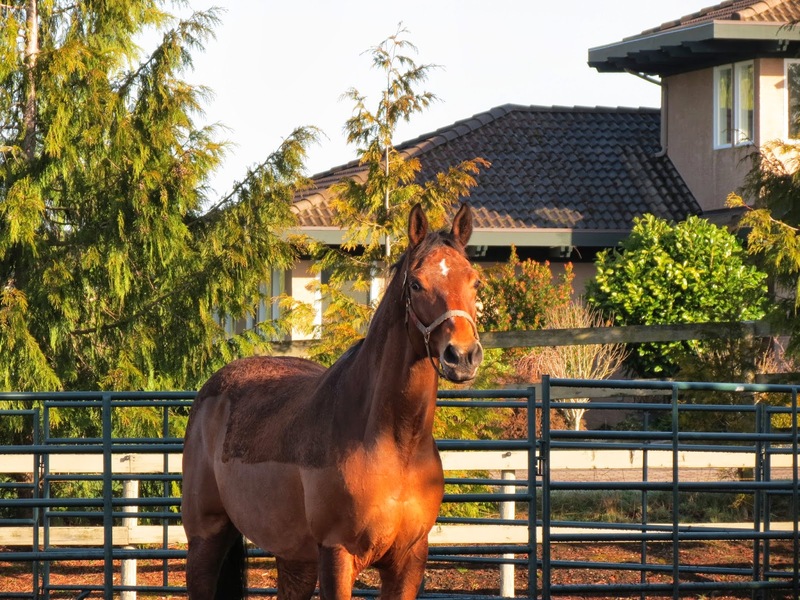 When the time came to bring horses in I led Wit to his stall / paddock with the fortified fencing and watched in disbelief as he once again jumped to freedom, this time clearing two fences with a ‘bounce’ between. I yelled WHOA !! which surprising even to me he obeyed. He stopped and waited for me to snap the lead on his halter and I took him back to his stall closing the outside door as soon as I could. 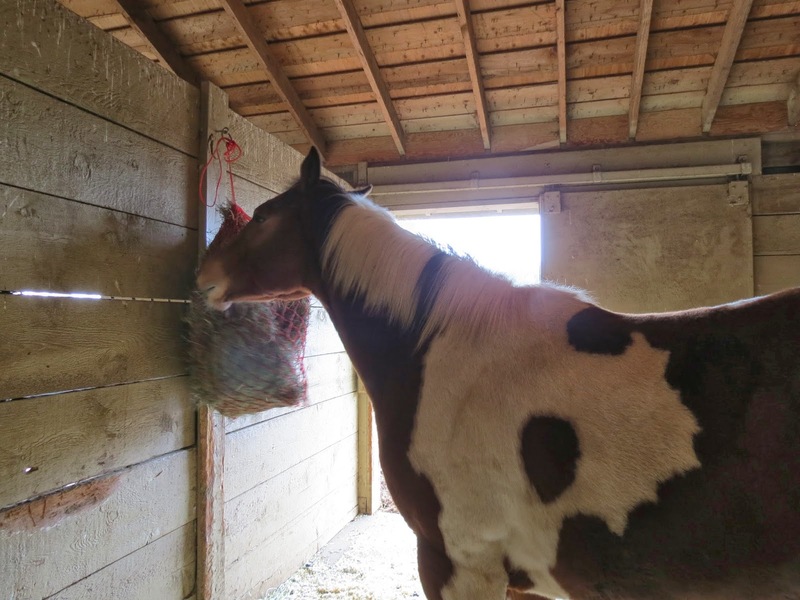 He called and spun around in his stall until a mare was brought in and placed in the stall directly across from him. From this ‘soother’ (the mare) I was able to determine that it didn’t matter which horse was keeping him company…he simply needed company. He remained locked inside during the night. The following morning I fed early and erected more extensions with electric tape on the new fence. I turned Sirius Eclipse into the walkout next to Wit. I chose her specifically because she had been the one to put him in his place during turnout the day before. Of all the mares (in my mind) she would be the least likely for him to willingly leap over the fence to be with. I haltered him and snapped on a longe line. I opened the door to the walk out and we stepped out. 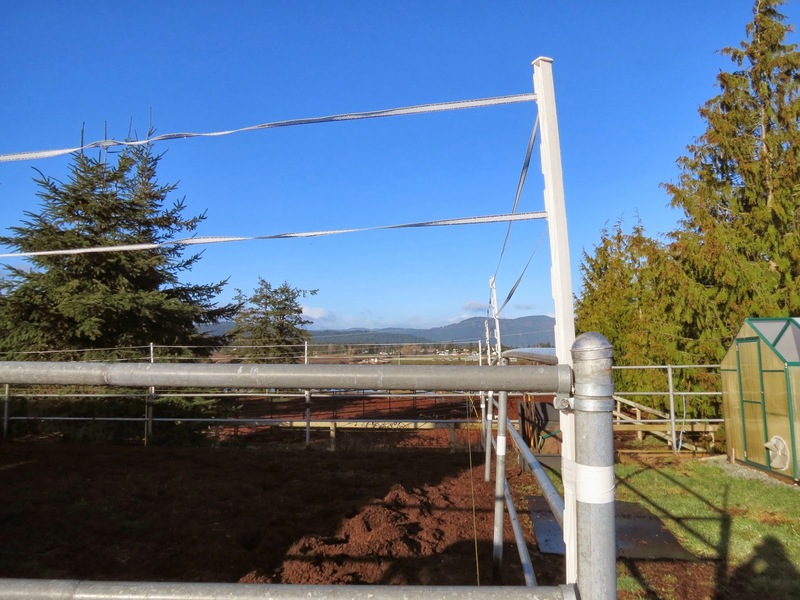 He eyed the white electric fence tape as we walked the perimeter together…he showed interest in Sirius and quickly adjusted his excitement when he remembered their last words to one another. Anyone who knows me well knows that I hate electric fencing with horses. The two do not do well together. The energy field of the fencing interferes with the telepathic communication between the horses in essence making them seem more vulnerable and more alone. This is a temporary solution to a temporary issue. Wit made no attempt whatsoever to get close to the fence let alone jump it. The mares stayed in today. My thought is to give Wit all the time he needs to know he is home. He’ll be the first to go out to his round pen in the mornings. That seems to work well so far. He will be second coming in at night so that there is always a mare next to him for company. His stall guard to his walkout will be up and in place during turn in. The mares will be rotated so that he doesn’t become dependent on any one at this time. I am certain he will choose his favorite(s) in due time, but for now we’ll switch things up. Wit enjoys a good grooming.. I spent the better part of the day in and near the barn watching. He remained calm and settled so I turned the electric fence off. 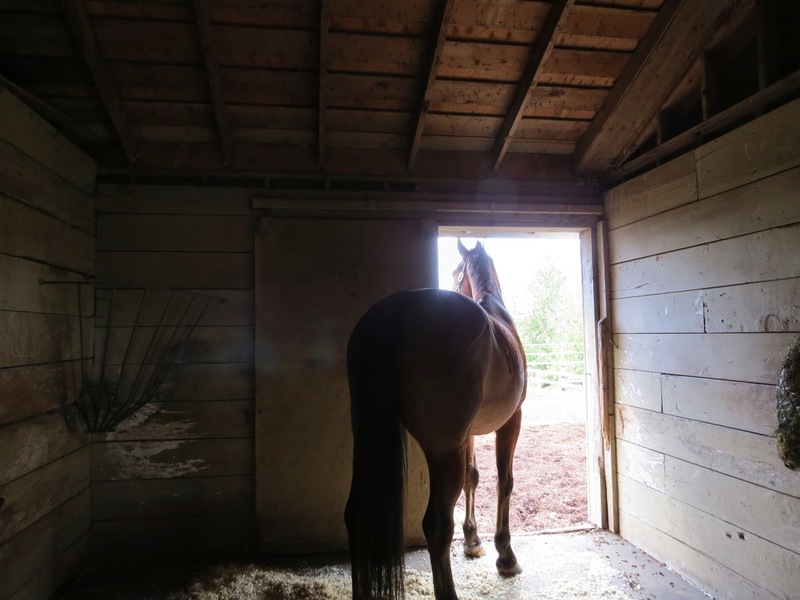 His stall door is closed for the night…so I can sleep. I feel for this horse. I understand what is perceived as ‘irrational fear’…once having jumped from a moving vehicle to find shelter in a stranger’s garage when I thought a tornado might be imminent. I’d been in a tornado in 1979 and the triggers were real and lasting. I understand his fear of separation. He’s been moved who knows how many times. He’s been owned by many different people and formed bonds only to have those bonds broken. His lack of ‘herd social skills’ says it all. He needs his own kind. He has missed his own kind. I intend to give that back to him…..and will give it my best shot! A Calm Wit chooses to stay inside.. Within a two week time frame all extra fencing was removed. the teacher said to the child…sit up straight! listen to me and to me only! that’s it…no recess for you! go stand in the corner!…. sound like a good learning environment? But that’s how you want to train horses? and that’s why they call horses ‘broke’…..